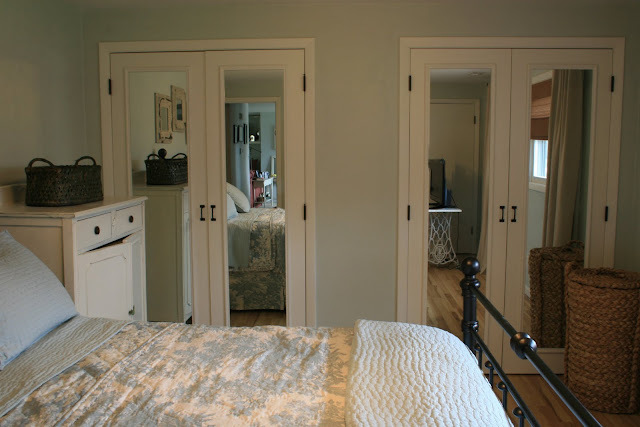 With spring right around the corner — I know many of you are planning your spring projects…This project is one I still am still so thrilled with I thought I would share it again — these doors really changed the look of my bedroom……Here is the breakdown on how my bedroom closet doors went from this….. I knew they would be perfect for my master bedroom…a smaller room – so in addition to looking great the mirrors would make the room appear larger………. unlike me who was still sporting the bi-fold 60’s doors! 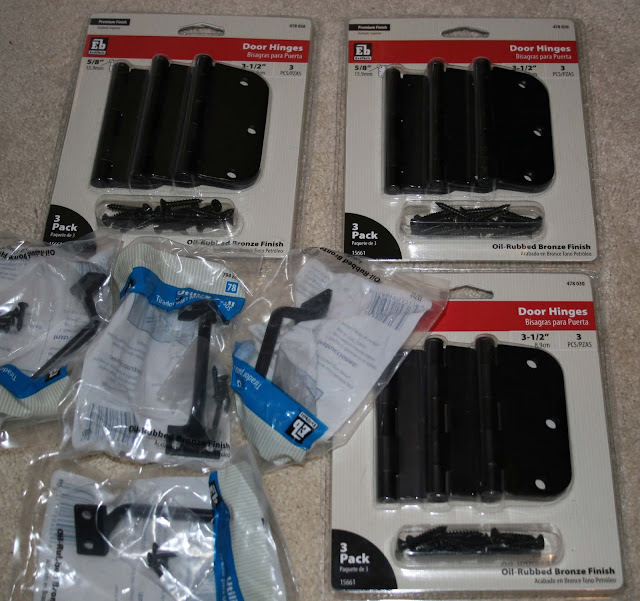 The hardware I purchased even came in oil rubbed bronze–SCORE…. 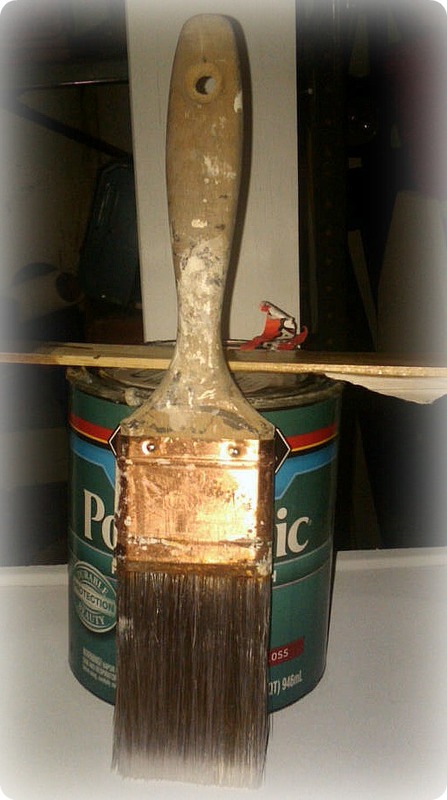 no painting!! after careful measurements were taken…..I am always so nervous drilling that first hole! Before we went to the next step we made sure they our hardware was lined up, measurements looked good and the doors fit well…once the mirrors are added they become VERY heavy, easier to double check yourself at this stage….and things were looking good!! Next up ……penciling in the outline for the mirrors…this is a little tricky..TIP**It is helpful to mark the top and bottom of the doors to be certain your measurements are correct for each..I wanted the mirror to be a little higher on the top of the door–so there would be a few more inches of actual door showing on the bottom of each door…which sounds simple until you have 4 doors laying in front of you and you are wondering ummm..which end is up??? 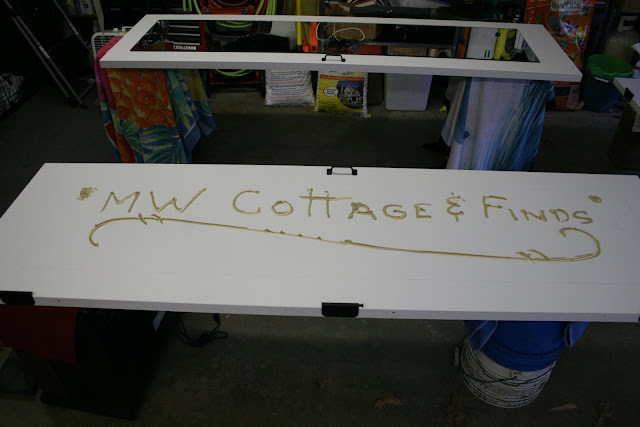 I called local mirror and glass companies and had 4 quotes on the price of cutting the custom mirrors….They ranged from $150.00 to $293.00.. TIP**call around it is worth the time..you will be surprised how many local places handle custom mirrors…. that a lot saves $$$! 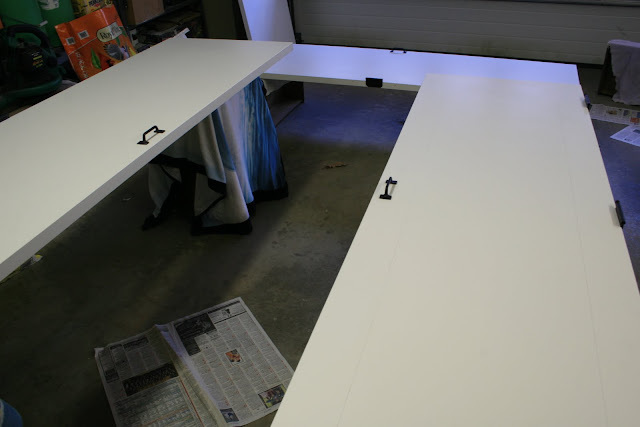 Next I prepped the doors to secure the mirrors…..Make sure you use mirror adhesive…VERY important…The mirrors are very heavy…Read the directions on the adhesive very carefully–the doors have to sit for a few days for the adhesive to set…So have them in an area that they will not have to be moved for a few days….. 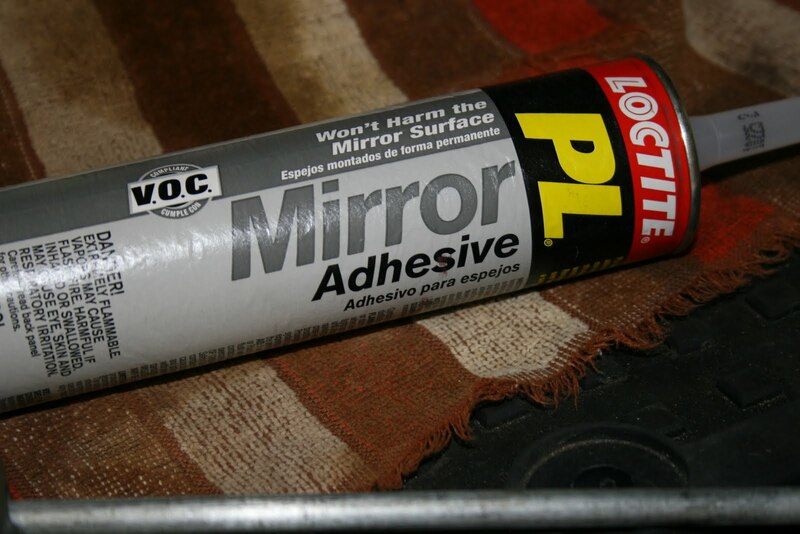 I added a bit more adhesive after being creative! 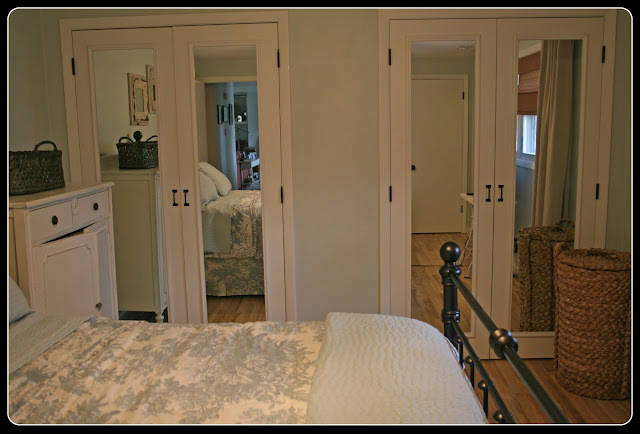 I painted the trim to match the doors and added the trim around the mirror edges….and after a few days of sitting undisturbed ………. 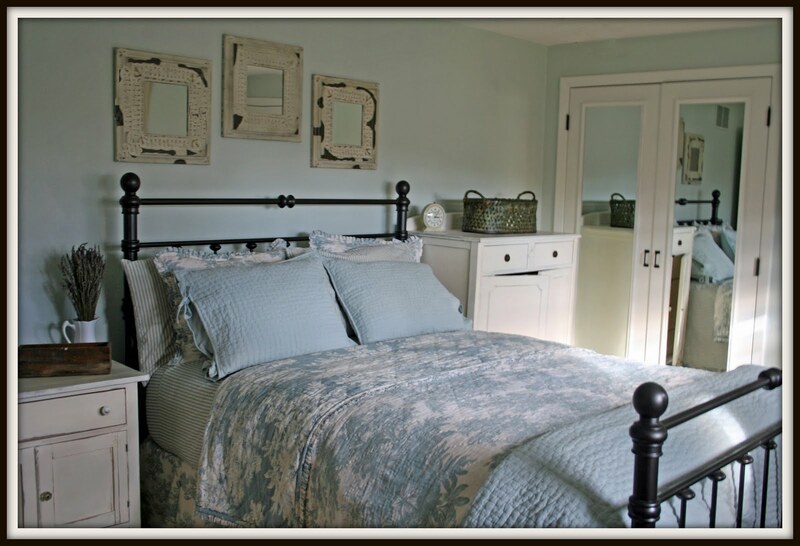 I LOVE them…it completely changed the look of the room…along with new bedding, paint and a new bed that was purchased in the ugliest color I have EVER seen until we painted it–but that is for another DIY post!! « Urban Remains Chicago — Pretty Cooool Find!! Wondeful jobs, I too want to try this in one of my room. It made the whole room look bigger, You have great style too ! This is simply beautiful. I told my husband I wanted the same thing completed in our hallway. What an absolutely gorgeous bedroom! Absolutely beautiful! Your doors look amazing! 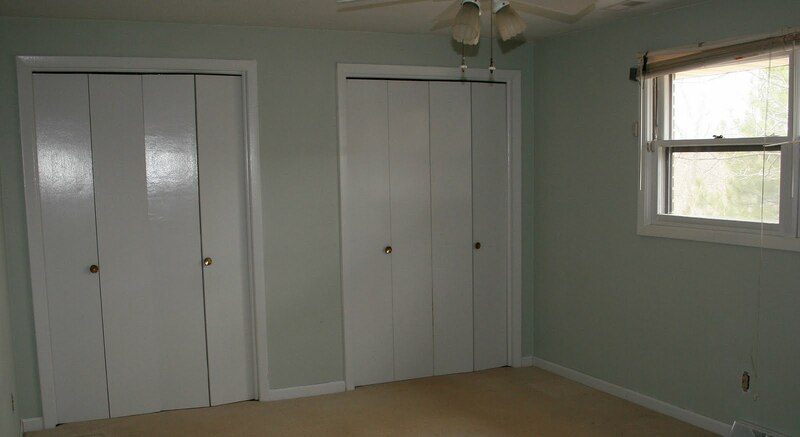 Oh my goodness, those closet doors are gorgeous! You are so talented and handy to do all that work yourself. Looks like custom made closet doors! OMG i just found you through Ato Z blog….so glad I did. We are redoing my daugther’s room and are doing her bifold (old) closet doors. Question….if you had bifold doors…how do your new doors close? Does that make sense? The bifold doors are on a track…but interior doors close……..I love this project. I am going to get to your previous posts but would love to know the color you used on your walls! LOVE! I was thinking about doing something to my hall closet doors…but was not sure exaclty what – You did a beautiful job! I love this makeover. What a fantastic difference it makes in your bedroom! 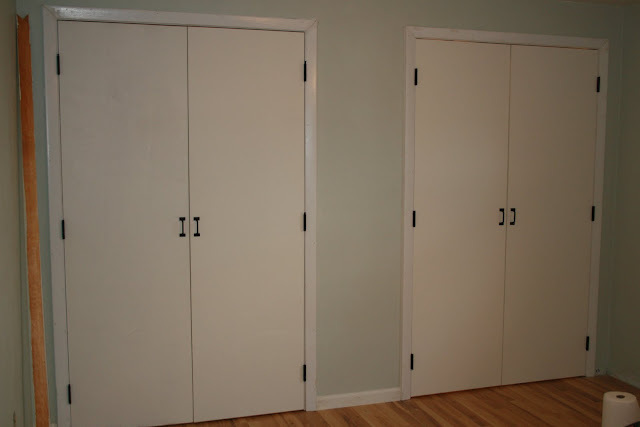 Your doors look super, as does the rest of the room! I had seen the doors at TLC as well and thought it was a great idea. You made it work for you, too! Hi! I love this! It looks so beautful. 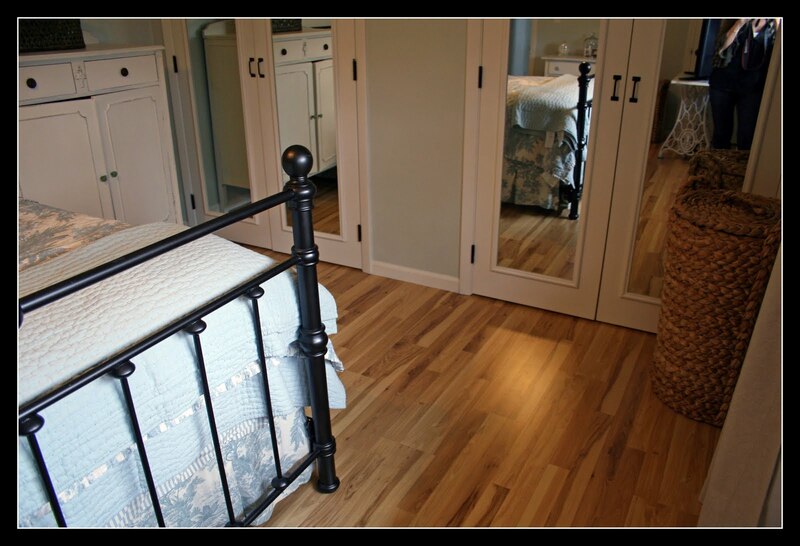 I’ve been toying with the idea of an “open closet” because right now we have those ugly gold trimmed sliding/hanging mirror doors on ours and I hate them. lol. But I think I may do this instead because I haven’t wanted to lose the full length mirror. One question, what kind of trim did you use for around the mirror? How did you get it to sit flush, and how did you attach it? Thank you so much! Have a lovely day!